For everyone living in Karnataka, the first day of November is a holiday. This day, known as Kannada Rajyotsava, symbolises the birth of Karnataka. In other words, it was the day Karnataka was formed back in 1956. So, how did this occasion come to be? Here’s a quick look at this historic day and what it is all about. On November 1, 1956, all the Kannada-speaking states of southern India were amalgamated to form a new state. This entity was originally called Mysore, but the name was too reminiscent of the princely state of yore, which was why the name was changed to ‘Karnataka’ on November 1, 1973. Kannada Rajyotsava is celebrated with much gusto across the state. The red and yellow colours of the Karnataka flag fill the streets and the flag is hoisted at important locations, while the state anthem, Jaya Bharata Jananiya Tanujate composed by the great poet Kuvempu, is sung. The boundaries of religion, age, caste, gender and income blur, as the state unites to celebrate its formation. The occasion is a tribute to the state of Karnataka and celebrates its glory – from the notable progress it has made, to its ongoing development. 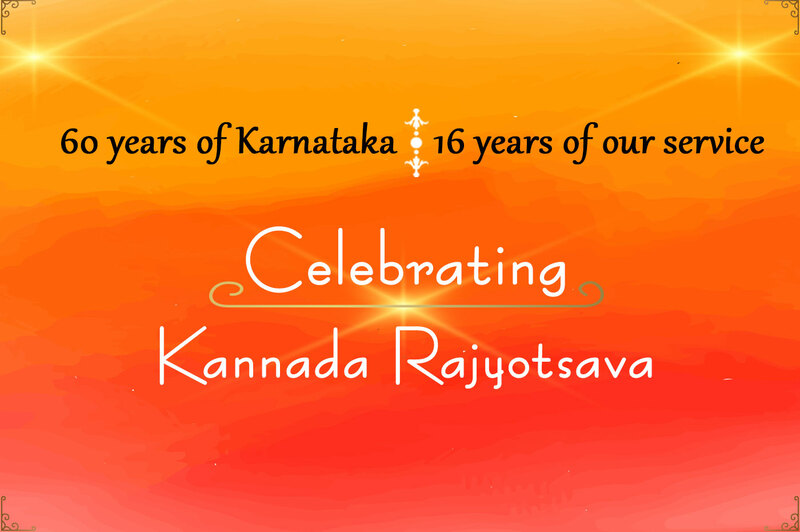 On this day, the State Government confers the Rajyotsava Award upon eminent citizens, who have adorned Karnataka with the jewels of their noteworthy achievements; Akshaya Patra’s Chairman, Shri Madhu Pandit Dasa, received Rajyotsava Award in the year 2003. The Akshaya Patra Foundation is delighted to have started its journey in this very state in Bengaluru, in the year 2000, by serving meals to children in five schools in the city. Currently, we provide nutritious mid-day meals to children in five cities across Karnataka – Bengaluru, Hubballi, Mangaluru, Mysuru and Ballari, via its six centralised kitchens. 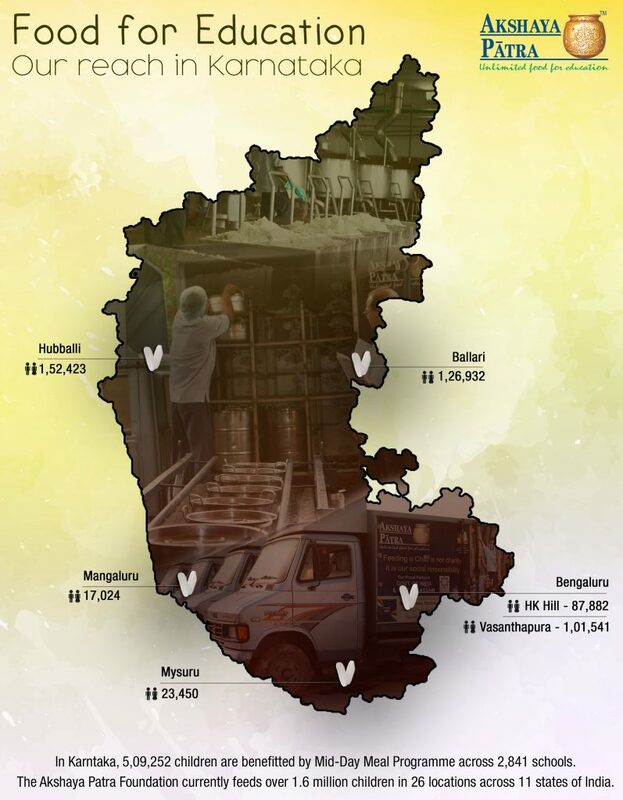 In Karnataka alone, we feed 5,09,252 children in 2,841 Government and Government-aided schools every day. On this wonderful occasion of Kannada Rajyotsava, the Foundation thanks the state where it was born and expresses its heartfelt gratitude to the Government of Karnataka for all the support it has extended. It also thanks its numerous donors and corporates, who have generously contributed to its cause of unlimited food for education. Please continue your support by contributing to Akshaya Patra. Thanks.This is really useful information.Keep the good work up.